I’ve been researching recess since 2007, during my first year of doctoral training. I started researching recess because I went to a talk by Dr. Joe Thompson in Columbus Ohio Dr. Joe Thompson was what some people might call the surgeon general of the state of Alabama—he was in that role under Governor Huckabee. Alabama was one of the first states that adopted legislation to address the childhood obesity crisis; In 2006, in a bi-partisan effort, Alabama lawmakers had written a two-page document that required 30 minutes of physical activity for every child during the school day (in addition to PE) in elementary schools along with requirements for healthy food at school. Hearing Joe Thompson talk about what they were doing in Alabama inspired me. I met Dr. Bob Murray that day. Dr. Bob Murray is a pediatrician and would become my co-researcher, co-writer, and ultimately, co-author on recess. I was invited to the talk by my father, who is also a pediatrician (now retired). Dr. Murray and my dad were members of the Ohio chapter the American Academy of pediatrics Home and School Health Committee, which was instrumental in bringing Dr. Thompson to Ohio. I was invited to join the committee as a non-pediatrician member, of which there are several of us on the HASH committee (we’ve been through different iterations of that name but that is our current name). We were all very intrigued by the way the schools in Alabama had responded to ensure children were being physically active (from more recess, to in-class exercise breaks, to students getting dropped off the bus 1/2 mile from school and walking together at the start and end of each school day with their classmates. As a committee, we discussed ways we might support similar initiatives in Ohio; I was especially curious as to how recess could be one of those components to contribute to a child’s physical activity during the day. The HASH committee agreed it was a topic of interest, so I took the lead and volunteered to do the literature review, which took about a year as I was still in school. Dr. Murray and Dr. Garner assisted with reviewing the research and synthesizing what I was finding. I remember the “a-ha moment” when we realized recess was so much more than an opportunity for moderate vigorous physical activity during the school day: it contributed to the child’s overall growth and development. Our research showed that recess was an opportunity for children to practice and engage with each other in social emotional learning—we didn’t call it that, we used the terms interpersonal skills and conflict resolution; we called it creativity. The research was clear: recess “serves a critical role in school as a necessary break from the rigors of academic challenges. Recess is a complement to, not a replacement for, physical education. 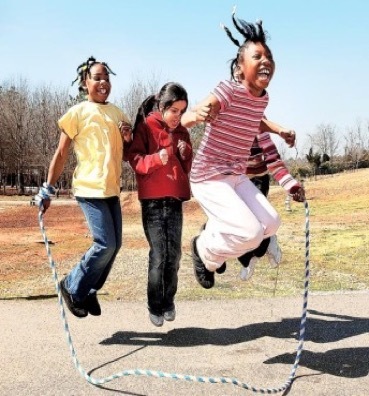 Both promote activity and a healthy lifestyle; however, recess—particularly unstructured recess and free play—provides a unique contribution to a child’s creative, social, and emotional development. From the perspective of children’s health and well-being, recess time should be considered a child’s personal time and should not be withheld for academic or punitive reasons.” Our first publication was in Journal of School Health in November of 2010.